Today, most people under 30 have no clue what it means to go to the library and research an issue, examine a treatise on a subject, or spend time “connecting the dots,” to independently formulate a “new idea.” It seems that deductive reasoning has been replaced by reliance on what other’s think (whomever they are) according to whatever pops up on our mobile device during a Google or Yahoo search. When we choose to give up our independent thinking and substitute a review by some nameless individual that comes up on Google, Facebook or Yelp, rather than utilize our own judgment, we lose accountability for our selections. Who do we blame for a bad experience when we choose something or someone (a restaurant, a rental unit, a dentist, or even a lawyer!)? Do we blame the reviewer, Bob or Denise? What do we do when each of us is confronted with a decision that actually requires us to think? The most important decisions in life deal with judgments about our relationships. Who do we choose to make our friends, who do we hire to work with, who do we date? And, the biggie, who do we marry? These “relationship decisions” require a person to think and to make evaluations. Our brains have amazing capabilities, if only we practice using them to plan, reason and analyze. When I am asked to give my legal opinion on the likely outcome of a legal issue, the most important ingredient in giving a person good advice is to be able to ask the correct questions. Once the correct legal issue is identified, in the form of a question, most legal practitioners can find “the answer” by engaging in routine legal research. But, unless the proper question has been framed, the resulting answer will be useless. 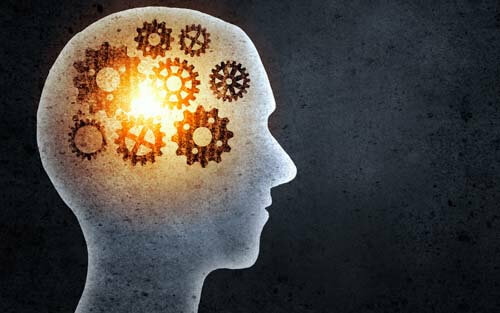 Thinking occurs on two levels, the subconscious and conscious mind. When I’m involved in a complex litigation case, I’m often thinking about “issues” throughout the day (and, yes even out of the office, as well). Often, when we “sleep on something,” the next day clarity arrives and we have an “aha” moment. This is an example of our marvelous subconscious mind at work while we sleep. So, where does this article bring us? Turn off your smartphones for a period of time, get away to a secluded place where you can just think and spend some time in deep thought coming to your own conclusions about important decisions affecting you, your family and your work. When faced with important decisions, it’s OK to seek input from others whom you’ve formed valid reasons to respect for their advice, but once you receive that advice then make your own decisions by thinking. By thinking for yourself, you’re exercising your mind. Your mind needs to be exercised to be able to best perform when needed. And, by the way … when you need a good law firm to help guide you in making legal decisions … THINK BARBERI LAW!